IDW has set the bar in the comic industry with its releases of the Artist Editions. What is an Artist Edition you ask? It’s a hardcover book of comic art that is shot from the original artwork. So you see all of the little mistakes covered in white out, stains, and blue line pencils. There have been many released so far including Dave Stevens Rocketeer, Joe Kubert’s Tarzan, Walt Simonson’s Thor, the original MAD comics and a best of Wally Wood. The great thing about the books is that most of us will rarely own original artwork due to the price of really classic pieces. This is a great way to not only sort of own original art but to be able to see all of the fine detail that goes into the art itself. 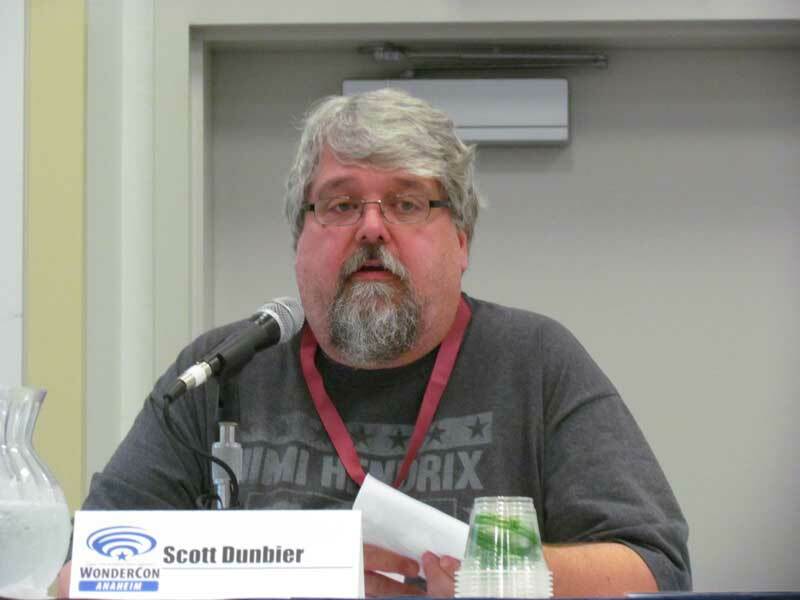 Senior Editor Scott Dunbier was on had to talk about some of the upcoming editions and some very surprising announcements. First up was the late June release of the Best of EC comics with an amazing Frank Frazzetta cover. 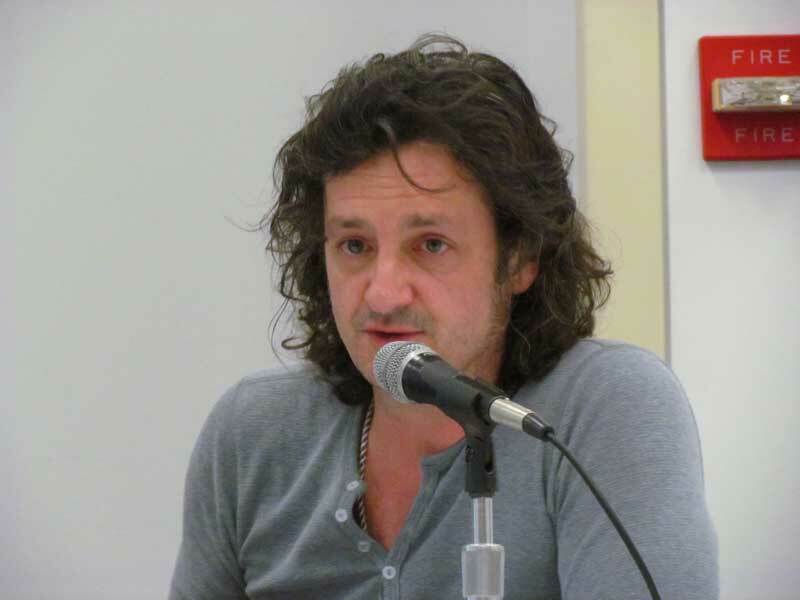 Scott noted that there was so many stories that they found there will be a second volume next year. There was no date announced but they are working on the Jack Davis EC edition. 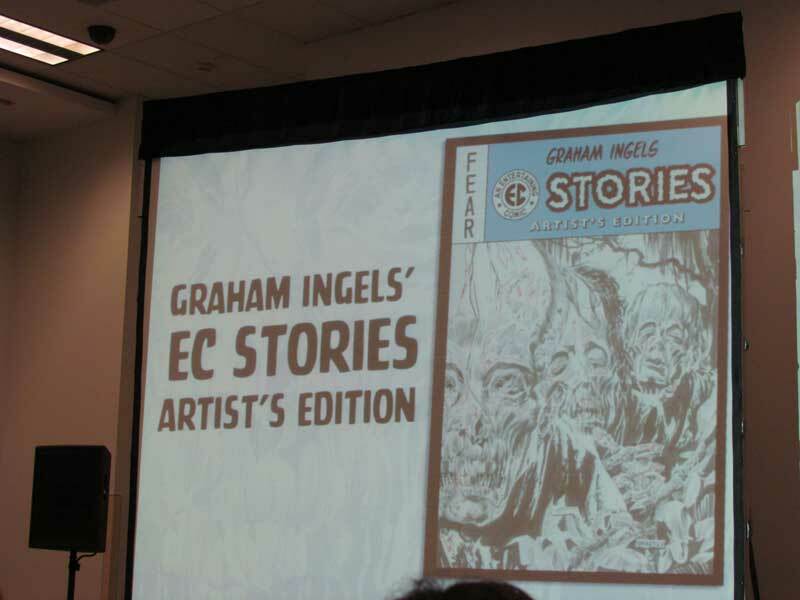 The first announcement was Graham Ingels EC collection that will feature his art like the Jack Davis volume. 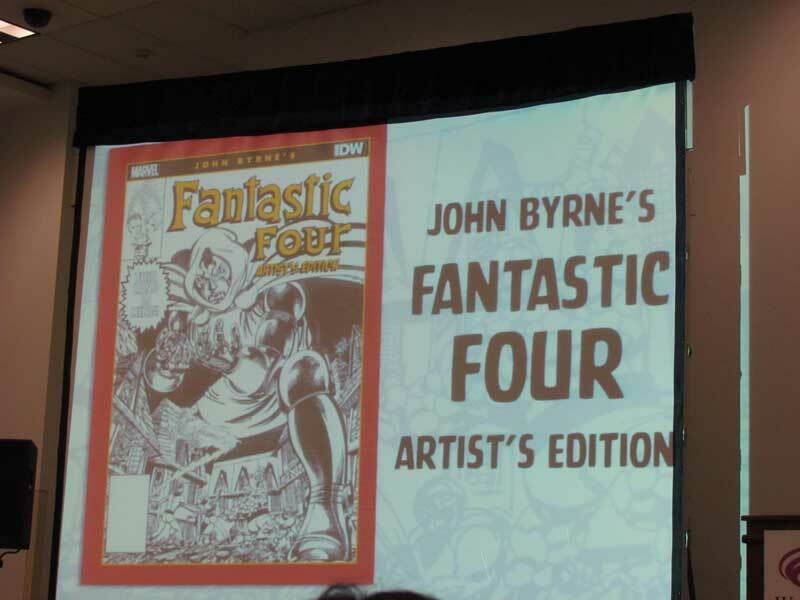 Scott showed what seems to be the final cover art for the John Bryne Fantastic Four Artist Edition that will be out soon. 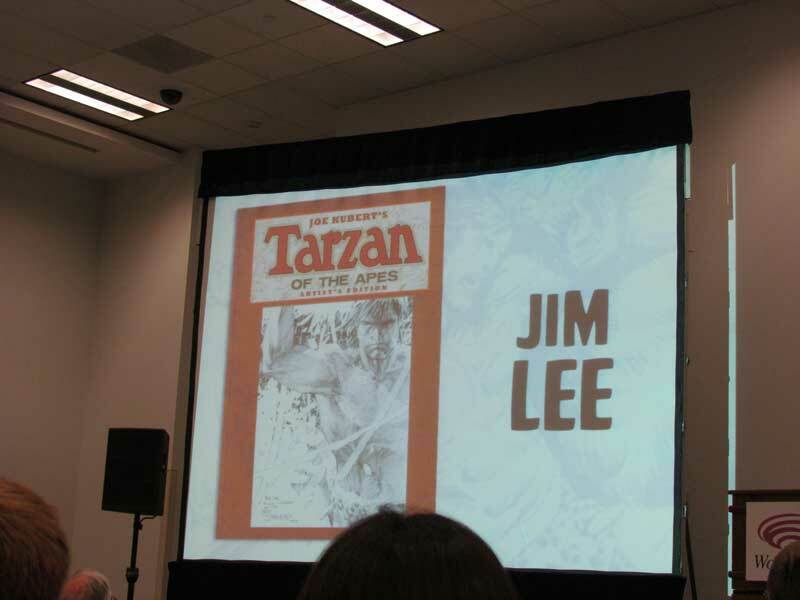 Scott started to talk about working with the late great Joe Kubert and how special it was. 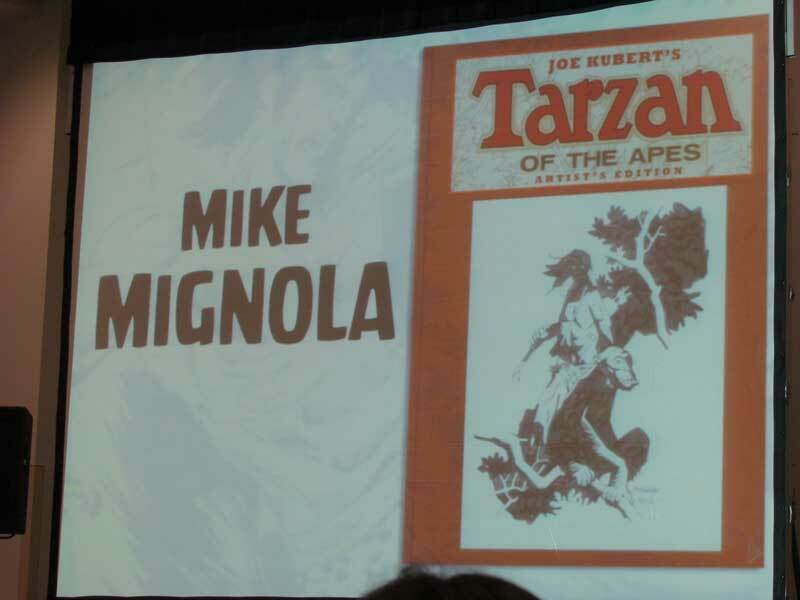 He then announced one of the next editions Joe Kubert’s TOR. The collection will be the Epic Comics run that was published in the early 1990’s. 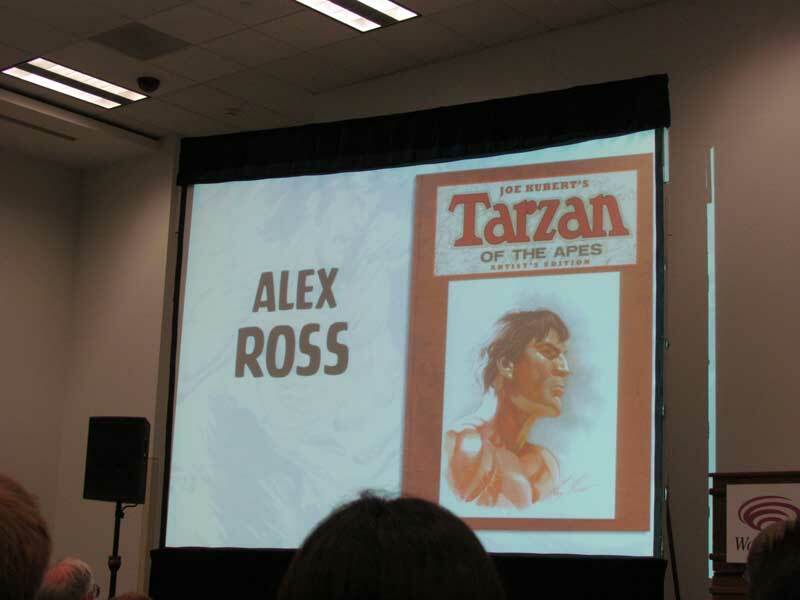 They were originally going to do TOR first but the Tarzan project came together much quicker and it was decided to do it first. Joe himself was very involved in the project. When Scott called Joe up to tell him that they were able to get the license from the Edgar Rice Burrough’s estate he said that he could hear him smile on the other end of the phone. When Scott sent him the mock-up for the cover they had to re-do the top because the comics were originally published in the 1970’s by DC comics so they had to remove those from the cover. He got a call from Joe about it and Joe said that it looked OK but could be better so he ended up drawing new artwork for the top above the logo to patch it. During the process of making the book the first bound samples came back with a blank cover for the artwork to later go in. There were 26 of the test cover books that were produced. Then sadly Joe passed away before the final book was finished. Scott was wondering what to do with the 26 books with blank covers and found a way to not only use them but to pay an amazing tribute to Joe at the same time. Each of the 26 books will have new artwork drawn by a different artist. Scott teased four of the 26 covers off. All of the proceed from the auctioned books will go to the Joe Kubert scholarship fund. All of the artist involved donated their art and time for the project. The Burroughs estate is also waiving it’s fee for the sale. I asked Scott if there was a chance that maybe after the books were sold that there could be a portfolio of the 26 covers because most of the books are out of most people’s price range. 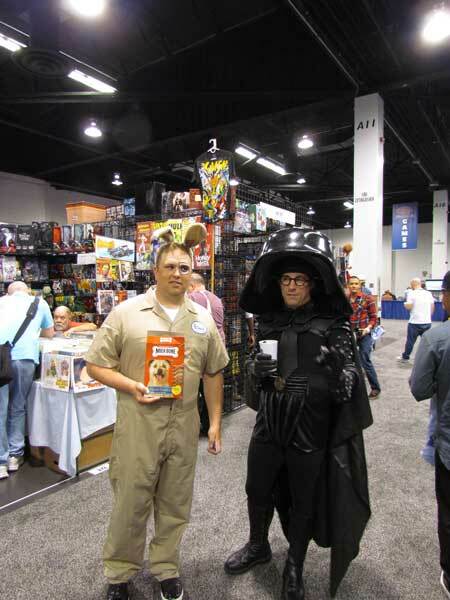 He said that he had thought of the same thing and he was making sure to scan all of the covers to preserve them. 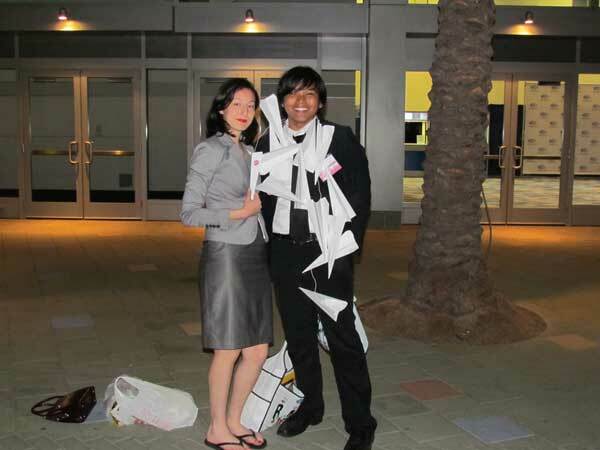 I told him that it would be great to make even more money for the scholarship fund. 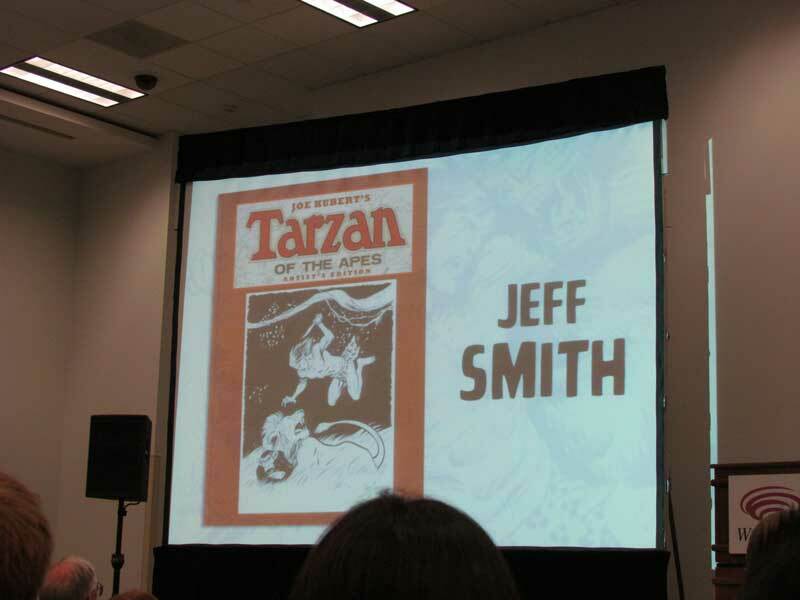 Then Scott invited special guest Jeff Smith up to the stage. They started to chat about meeting Joe Kubert and how he was very honored to do the cover and what a great inspiration he was to him. This is when the big surprise came. 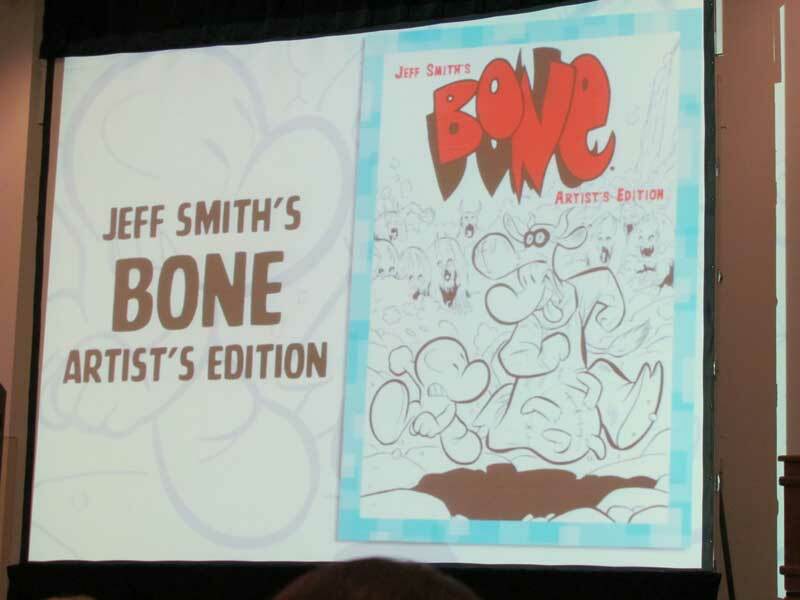 Scott announced that there would be a Bone Artist Edition. Thankfully Jeff had kept all of his original artwork and had actually donated it all to the Wexner Center for the Arts in Ohio that actually stores a vast amount of comic book artwork. The edition will contain the entire Cow Race story form issues 9 & 10 and then the rest of the book will be some of the short stories that were done. I asked if there would be more Bone Artist Editions in the future and both Scott and Jeff were saying that they would like to do more. They were both asked about editions they would like to see. 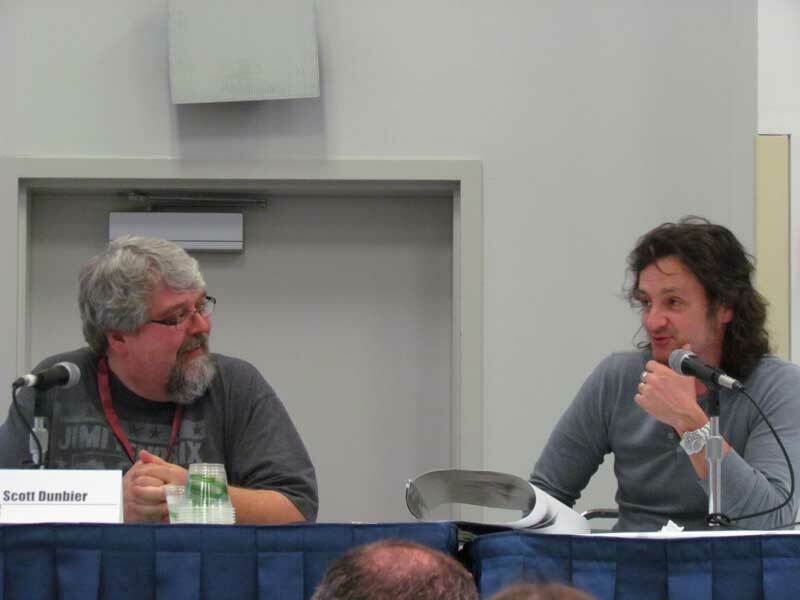 Scott would love to do Neal Adams Batman and Jeff said he would love to see an edition of Paul Pope work but that the size that he does the originals in is poster size and might be difficult to make into a book. Scott talked about how hard it is to track down the artwork for the editions. He told the story of what happened to one of the two pages missing in the Artist Edition of the Rocketeer. He said that Dave had given it to a female friend of his and eventually passed away and the artwork was thrown away because the husband did not understand how valuable and important the artwork was. The audience found this hard to believe and Scott noted that in the past most of the comic artwork done was destroyed or just plain thrown away. FInally Scott showed off the Michael Golden G.I. 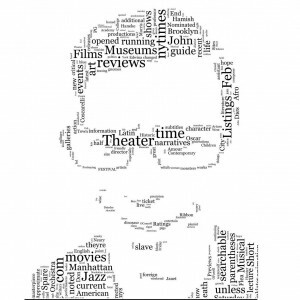 JOE Artist Portfolio and has a great story to go with it. Most people know that as great as Michaels artwork is that he is not the speediest artist. Apparently the G.I.JOE books were so late that as soon as the artwork arrived at Marvel that slapped the lettering on the artwork with glue and nearly ruined the original art. A private collector purchased a number of pieces that the portfolio is derived from and he took the artwork to a restoration company that carefully removed the lettering without damaging the artwork and they place the lettering on a clear overlay to preserve the original printed version but restore the original drawn artwork. So when the went to print it one side of the reproduction has the way it was printed with the lettering and on the back side prints the clean artwork so you can see all of Michaels details that were covered up by the lettering. Great news about the Michael Golden portfolio…does that mean that it is already printed and will be for sale soon? Alex, I talked to Scott Dumbier yesterday and asked him the same question. He said that it’s done and should be out soon but no exact date yet. My guess they are doing a signed edition and waiting for that to get done. Thank you so much for letting me know about the portfolio. It seemed like the dates kept changing for the release date and I was pretty excited to read your article and learn that there was a printed copy of it at WonderCon. Now I will settle in and wait for it to be released. As the production of comic book artwork is changing with the digital age, these Artist’s Editions are not just fun to look through, but also represnet an interesting part of comic book history. Thank you for the well detailed article.